July is the most important month of the year for me. The reason behind its importance is an odd clashing of competing motivations. First, I seek the Lord earnestly in the process of planning the coming ministry year. Second, I take two weeks of vacation to rest with my family. Every June the ministry staff gets away for 24 hours to evaluate the past year and look forward to the coming ministry year. We work through the big opportunities to be placed on the calendar. We evaluate the previous year’s endeavors, helping us shape the objectives that should be tweaked, cut, or added. This retreat provides me with the nuts and bolts I need to do my planning over the first two weeks in July. The first two weeks of July are very intense. Within that two weeks, I am pleading with the Lord for direction in regards to sermons for the following 12 months. Moving from series planning down to each individual week and the central scripture of that week, I work to populate a spreadsheet that guides the next year. How hard can it be, right? The best comparison I have to offer is a Rubik’s Cube. The process consists of taking many pieces and moving them around in order to solve the puzzle of unity and progression across the ministry year. The greatest challenge is often arriving, through much time in prayer, at a destination of confidence with each sermon, event, and opportunity that is placed on the calendar. The natural ebb and flow of our local community, our ministry events, and my personal rhythms create a mess of pieces. Prayerfully, those pieces are eventually arranged into something that will propel us into our next season of growth as His local church. 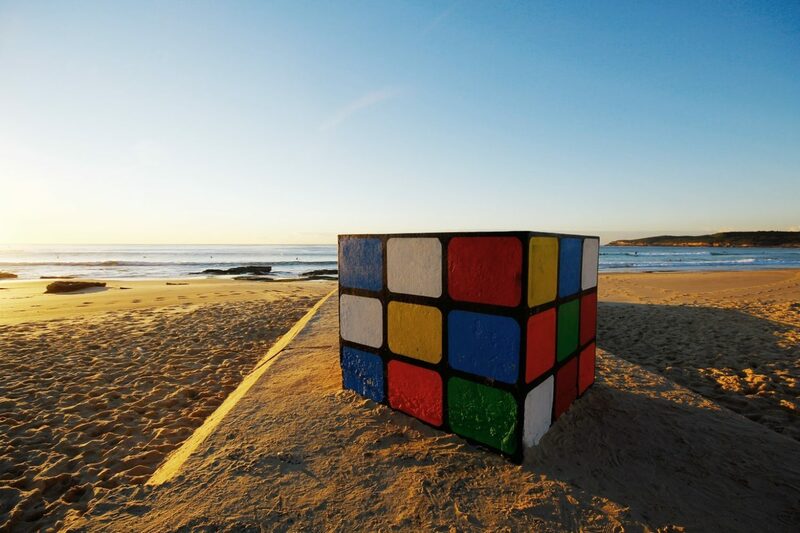 If I am able to solve the Rubik’s Cube within the first two weeks, then I take two weeks of vacation to spend with my family. Working in ministry ushers many seasons of 6 or 7 day work weeks. The “holidays” that many people enjoy on the calendar are still work days for me and even our staff sometimes. Every week that ends on a Sunday is one that brings the gracious blessing of preparing a sermon bathed in prayer and built upon God’s Word. In order to shepherd my family well and not make ministry the mistress of my home, I have to be very intentional about resting and spending time with my family. We usually try to find an economical way to leave the area as a family to enjoy some time together. Also, there is some time spent on my job description of husband, daddy, and friend. These short days are always priceless moments spent as the chaos of the Fall ministry and family calendar is imminent. Whether it is just this very moment as you are reading this post or sometime over these days, I would love to have your prayers. Pray with me as I seek the Lord’s guidance in ministry and sermon planning. Ask that His voice would be loud and clear in my heart and mind. Also, pray that every minute we have as a family returns bountiful investments. 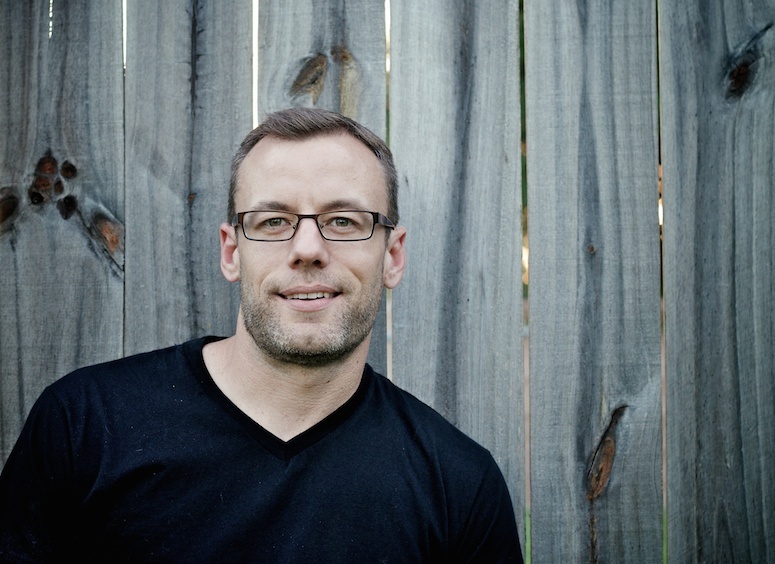 I wish there were only 5 things I wish I would’ve been told as a new church planting team. I could probably list hundreds but I’m only going to share 5 more. What follows are the last 5 of the 10 things I wish we would’ve known as a church planting team. If you missed the first 5, you can find them HERE. The culture created on a planting team often foster strong relationships. You will spend a significant amount of time together in the early days. However, as God moves people toward His vision for this new church there will be new people to love and disciple. After all, that is what you are praying toward. 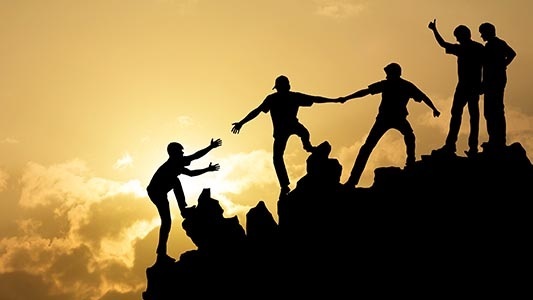 Relationships within the team must be scalable to sustain the spreading of discipleship responsibilities. This is a beautiful thing and yet something that is often difficult for a team who has created a rhythm of spending considerable time praying together and developing deep community. Build relationships that can withstand the transition of on-boarding new people. 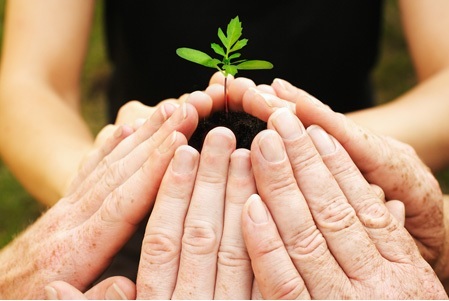 Church planting is all hands on deck, but not at the expense of all hands. The demands of planting are undeniable. The planting team must serve in many areas of the church. But, the journey must still be one of spiritual growth and not burnout. A steady flow of communication with the team, and especially the planting pastor, is vital to the ongoing spiritual health of the core and the church. Take initiative and talk about it every step of the way. The planting team must own the vision. Take the initiative to serve the vision with the gifts and passions God has given. Don’t wait on a planting pastor to assign you a task. Be willing to step out in areas of need. But, never step out before you talk about your desires with the planter and the team. Maverick team members can fracture the health of your infant church. You are stepping on new ground. 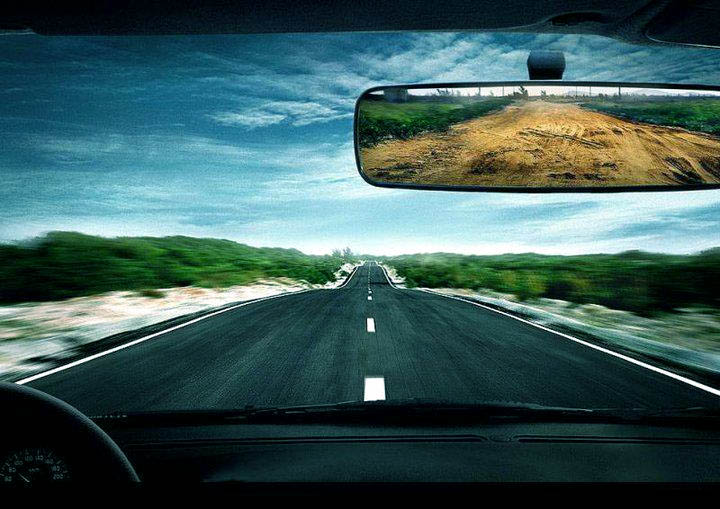 You don’t even know what questions to ask if you have no idea what lies ahead. Seek the wisdom of those who have traveled the path upon which you now embark. Receive their wisdom as experience-tested wisdom. Your legacy will outlast your residency. The vision may begin with you but it will not end with you. Rejoice in knowing our sovereign God will use your investment long after He takes you into new seasons of life. Your time here is bigger than your imagination will ever reach. You are an ambassador for His Kingdom through the vision of your local church. Your legacy is not dependent upon how long you are present nor even how long the church exists. Rejoice in the fruit He will bring! I love church planting and I love that Crossings Community is all about planting churches. Every planting journey is unique and I pray that my 12+ years may have produced some wisdom that will encourage those praying for planters, those planting churches, and those discerning the call toward planting. If I could turn back time (Do you hear Cher singing too?) there are a few things I wish someone would’ve told our core church planting team. There are actually ten things but for the sake of shorter attention spans, we’ll break them into two parts. God has just as much planned for today as He does for tomorrow. Longing and excitement for the days ahead characterize the hearts of those who are planting. We were so excited about what the future might bring we forgot God was working in the here and now. He wants to prepare you for tomorrow. He does that work of preparation today. Fight the temptation to long for the days ahead at the expense of His presence and work at this very moment. Unspoken expectations are watered seeds of future disaster. Vision is exciting and it fuels the passion of planters and their teams. But, vision is a preferable future, not a guaranteed future. 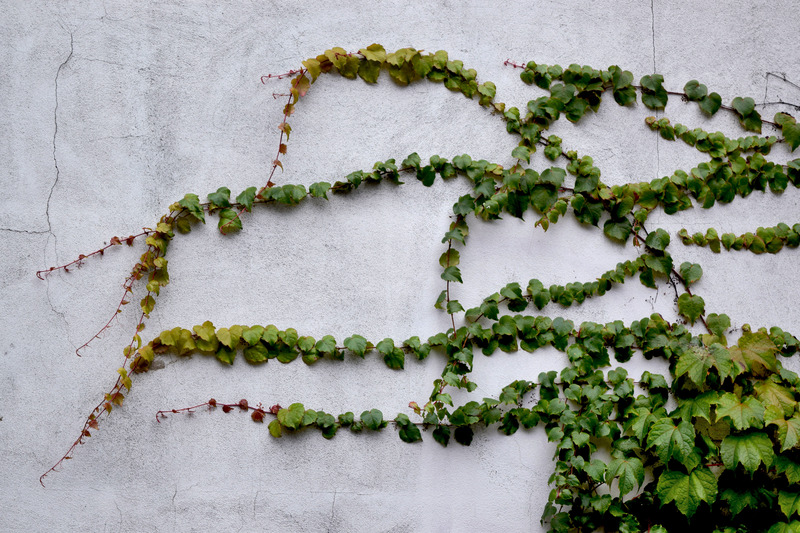 As vision is cast it creates various images in the minds of those involved in planting. Those images of expectations will never match perfectly with reality. The more planters and planting teams can openly discuss their expectations, the better those expectations can be prepared for meeting the realities of ministry as a new church. Creating a culture is immensely easier than changing a culture. Creating a new church with new people in a new place is exhilarating. Create a culture of experimentation where there is always permission to try something new. Leverage the early days of being ritual-free and be intentional about creating a culture that represents the vision God has given. Success is measured by faithful obedience. If someone would have shared this truth with me 12 years ago, it would have had a significant impact on my personal ministry as a church planter. Whether you have 15 or 500 people gathering at this new church during your launch year, it does not determine your success. Be confident in what God has called you to do and be found faithfully obedient to that calling, then you will find success. Remember, we serve His definition of success and not that of the world. The church planting discussion is full of voices these days. There are so many good things to hear and know as a planter or a planting team. One huge temptation is to hear the cautions and respond dismissively, “That will never happen to us.” It may happen to you. Some of those truths will definitely happen to you and some of them may be the things you would never expect. Ask God to form your expectations by His wisdom instead of your self-derived desires. This is a guest post written by Jenny Isaminger. Jenny has been married to Grant for 11 years and has two wonderful children, Ellie (5) and Jack (2). 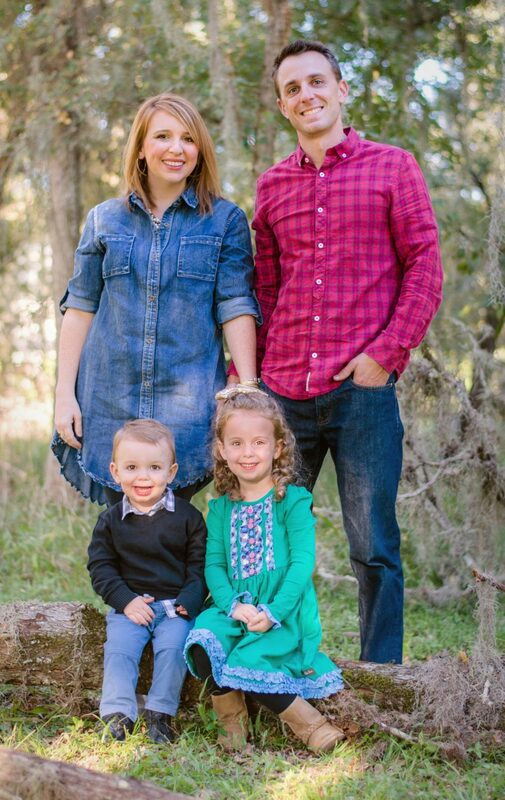 The Isamingers have been members of Crossings Community Church for 3 years. The post-it note has been stuck to my fridge for almost 2 years. Our pastor, Matt Powell, preached a sermon on Mother’s Day in 2016. 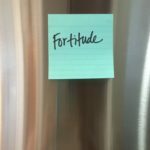 The passage was from Hebrews and Matt honed in on the word Fortitude: mental & emotional strength that enables courage and steadfastness in the face of adversity. I am the definition of a suburban housewife. A work-at-home-mom of 2, in a two-story house with a pool and a dog and 2 fish whose tank needs to be cleaned desperately. I’m homeroom mom and I spend my days working and carting these kids around to dance and swim lessons and checking homework folders. My life is not hard. But there are weeks that feel like everything is a fight. Getting in and out of the car is an olympic event with a toddler (I would win the Bronze Medal in Car Seat Wrangling. Bronze because points would be deducted for my tone of voice. The Rule Book says you have to sound like Snow White and I sound like a Purple Minion.) Having good communication in marriage is not something that comes easily. Taking care of a household while also struggling through all the external stressors flying at you is difficult. When you’re burdened and weighted down by family members with cancer – it feels especially deflating when you’re notified by someone in your household that they have no clean socks. Motherhood is taking care of everyone and everything inside your home while also taking on the challenges and trials of everyone and everything outside of your home. This is why I have the word Fortitude on my refrigerator. Matt reminded us in that sermon to not grow weary of living a life that glorifies God. Do not be crushed by the pressures. Jesus is the same yesterday, today and forever. He was strong yesterday, He is strong today and He will be strong forever. You know who wasn’t strong yesterday? Me. You know what isn’t strong today? Me. You know how long I probably won’t be strong? Forever. But you know – God hasn’t placed the expectation on me to be strong enough. He pursues me in my weakness! Hebrews Chapter 13 says “It is good for the heart to be strengthened by grace.” His grace is surrounding me, strengthening me, pursuing me in my weakness. He didn’t create me to get everything done on my own, based on my own strength. I am strengthened by the grace found in Him. So I pray for fortitude – for that mental and emotional strength found in Him that enables courage and steadfastness in the face of adversity. Even when that adversity is nothing more than the fact that my kids only get sick the day of an incredibly important event or trip. Do you have a place where you put things in your home to remind you to change your perspective? Crossings Community Church is a body of believers whose mission is to engage, equip, and empower homes for gospel transformation in Katy, TX. We naturally categorize experiences in our lives. When you meet someone new and tell someone else about that person you will have already placed some labels and categories on them. It may be simple adjectives or broad stroke generalizations, but either it helps you communicate and helps your listener understand. This need carries over into our various church experiences as well. Therefore, denomination labels can be helpful for people visiting a new church. 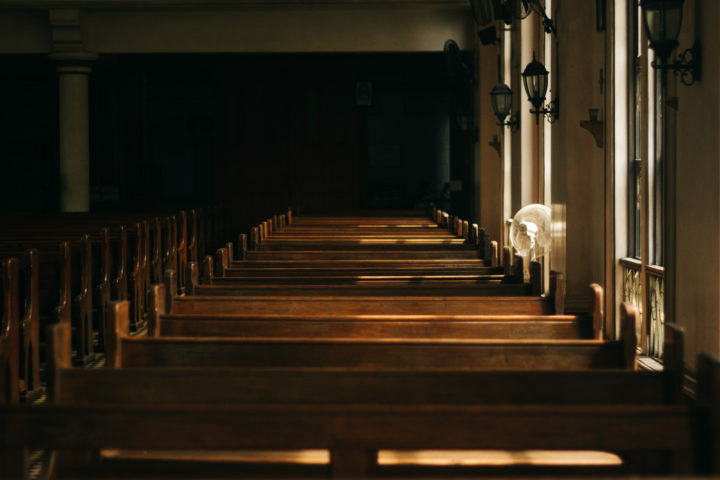 Before they ever walk in the door of a denominational church they have some set expectations. So, when I tell people that we at Crossings Community are a non-denominational Bible church it throws them for a loop. They often do not have nicely manicured categories with set expectations to apply to my response. I am going to create this series of short posts which will connect some words, ideas, and labels to our identity to help outsiders and newcomers understand who we are while giving our church body some language that will be helpful. The first label is EXPOSITORY. We at Crossings Community Church are a church that values and practices expository preaching every single Sunday. It is an incredibly interesting point of view when I look out across the various faces each Sunday morning. All of the caricatures are in place. There is Mr. Head Tilt who is communicating with that squinty eye pushed forward and slight head tilt that says he is closely examining and evaluating every single word (usually a male). There is Mr. or Mrs. Head Nod who is vivaciously spurring me on through their aggressive nodding with each provided point of observation or application. Mr. Rubber Neck is a small minority but usually represented. He, and it usually is a he, has a singular focus for the morning and that focus is for no one to see that he is taking 10-20 second naps throughout the sermon. In his effort to conceal himself he overcompensates his course correction by violently popping his head back up from his momentary slumber. Madam Transcription is fascinating to see as she is frantically transcribing every word, and hardly every looking up, into her notebook where she religiously keeps her lifetime of sermon notes. Last and my personal favorite is The Testifier. This is individual who lets me know I am preaching truth and encourages me to continue through their vocal affirmations and encouragements which seem to spring out of their faces as an involuntary burst of excitement. Every preacher needs his Testifiers! We all listen and engage with a sermon in different ways. I’d like to suggest 6 ways that might help you engage more deeply. How Should We Prepare for Worship? Sunday is often the craziest morning of the week as we gather our family together and rush out the door in the hopes of making it to church on time. This series of events has us arriving on Sunday frustrated and often in the middle of a marital tiff which was sparked by the craziness of the morning. Unfortunately, that makes it too easy for us to begin our Sunday morning worship experience with a critical and distracted heart. 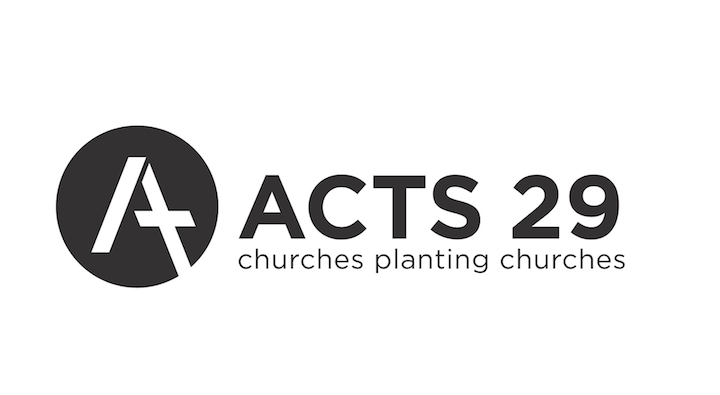 Hopefully you read in Part 1 that we at Crossings Community Church have joined the Acts 29 Network. Acts 29 is a diverse, global family of church-planting churches. It is a network which seeks to equip and support churches who are committed to planting churches. Acts 29 desires to be a network known for 4 things: (1) planting churches that plant churches, (2) pursuing holiness and humility, (3) being a radically diverse and global community, and (4) praying for conversions through evangelism. 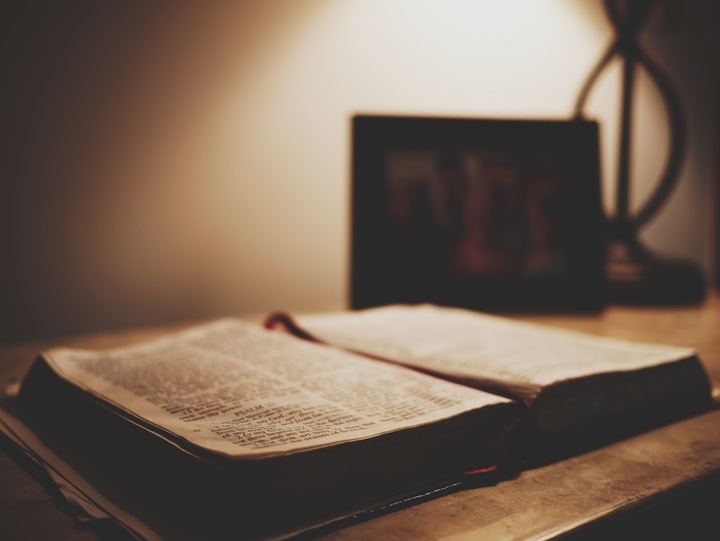 Acts 29 has five theologically driven core values: (1) gospel centrality in all of life, (2) the sovereignty of God in saving sinners, (3) the work of the Holy Spirit for life and ministry, (4) the equality of male and female and the principal of male servant leadership, and (5) the local church as God’s primary mission strategy. These principles and values have been driving forces for us at Crossings since our inception. Therefore, thankfully we find immediate brotherhood amidst the churches banding together to pursue Kingdom growth in the Acts 29 Network. Yes, I know… I still have not answered your question.